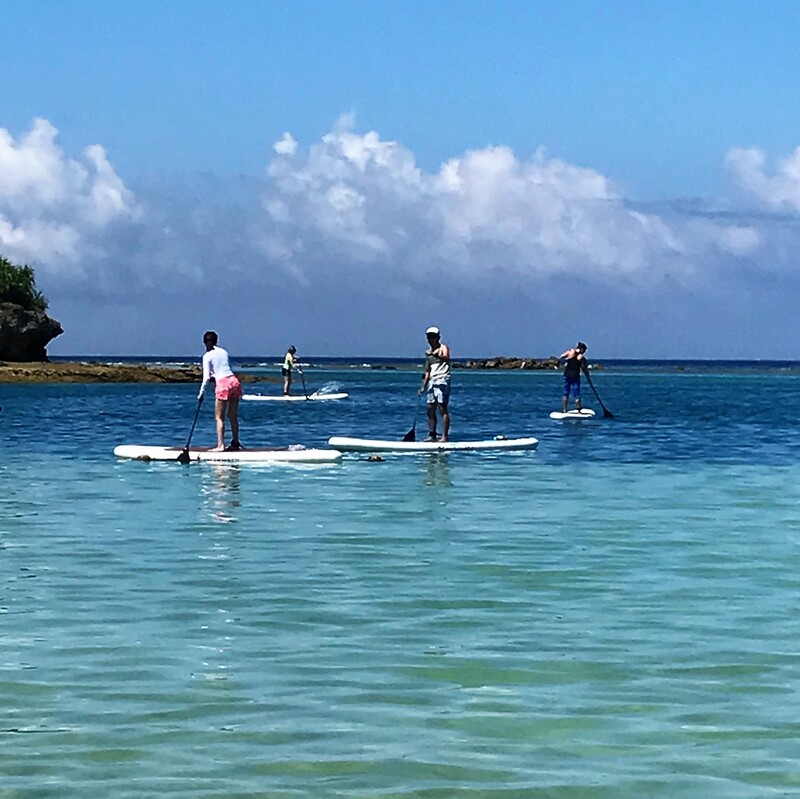 Masaki Taniuchi and her team of guides and instructors will take you to Okinawa's most beautiful places - literally standing on the water - on SUPs (stand up paddleboards). 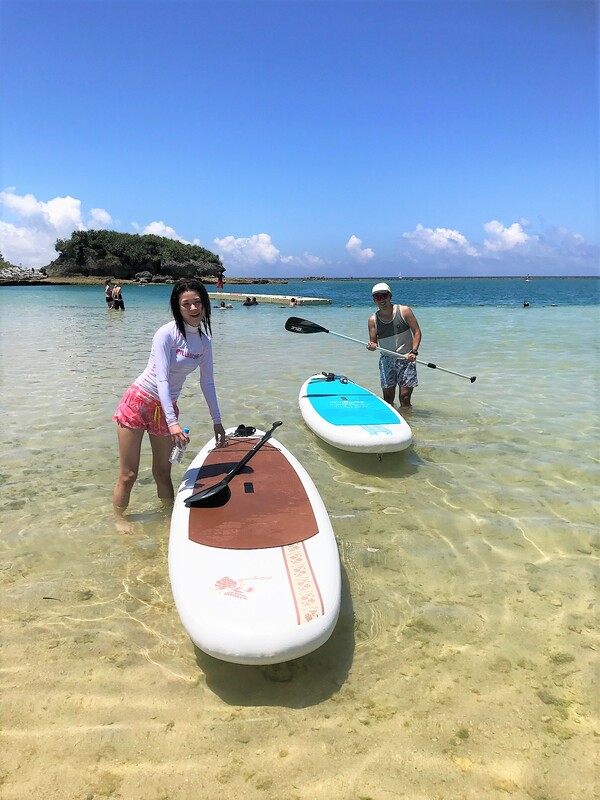 To the gentle swish of paddles, waves and sounds of nature, they lead groups of individuals Okinawa's scenic shorelines and inland water views. 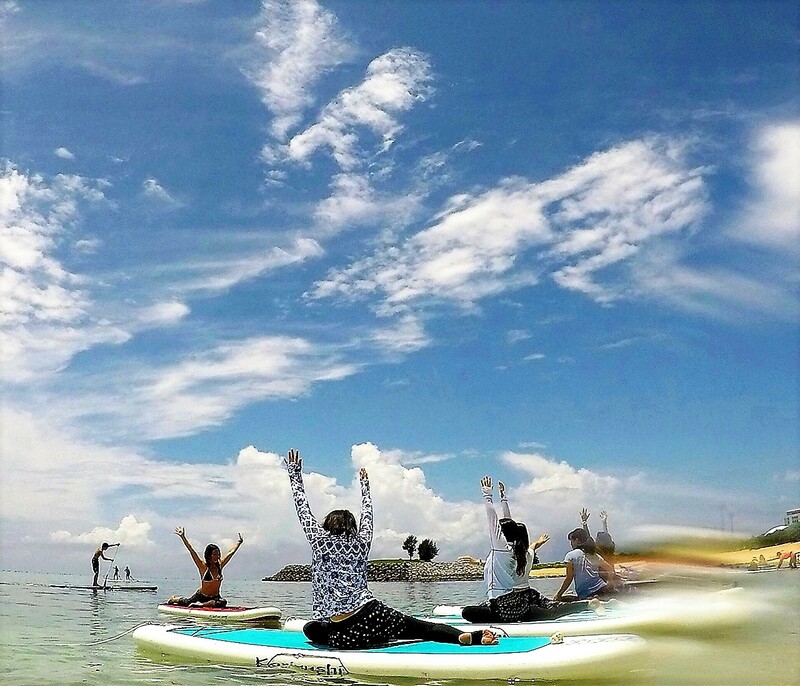 Oki-SUP's staff includes licensed yoga instructors who will have a calming, relaxing experience getting healthy while enjoying fresh ocean air and breathtaking views. Call for Information about regular classes or custom tours from Kadena, Chatan, Yomitan or Onna. SUPs and all equipment are available for rent.